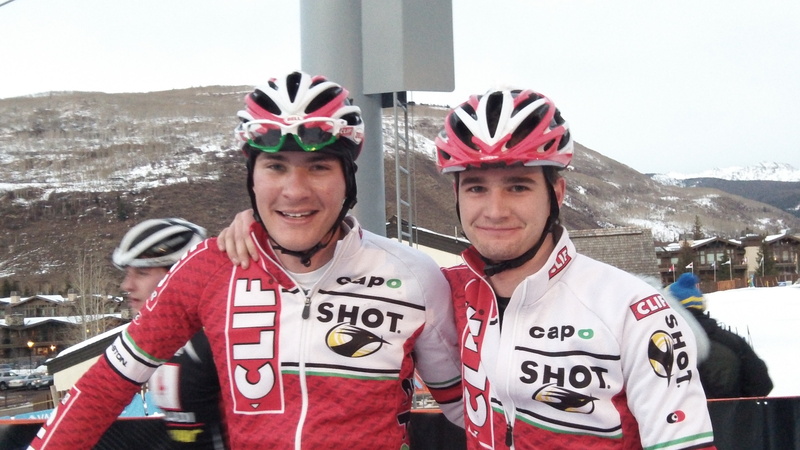 Racing bikes on snow — it’s a bit nutty, and brings new meaning to slipping and sliding. 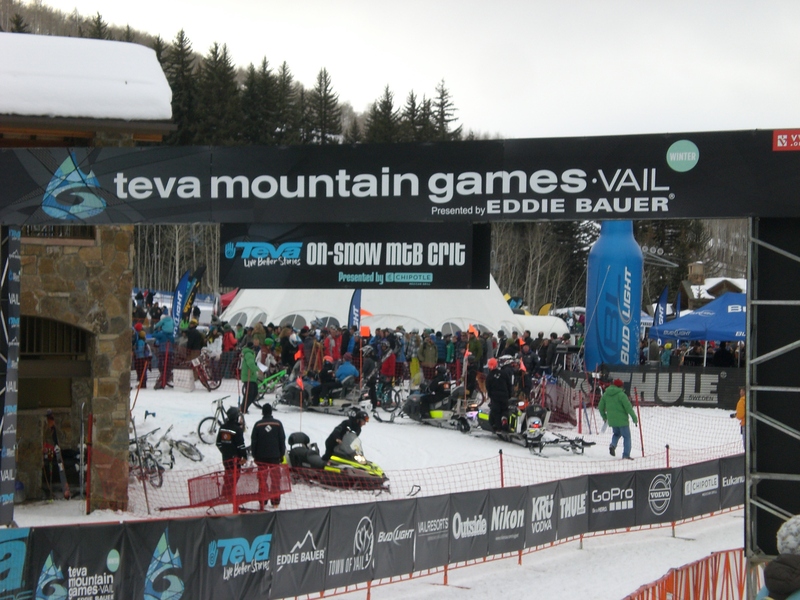 On February 11, 2012 the Teva Winter Mountain Games hosted a snow crit race in Vail with cash prizes for mountain bike and snow bike categories. Women and men in both categories touched only snow after they sped off at 5 p.m. in soft but cold post-sunset light. They circled a 1.0 kilometer loop with 170 feet of elevation gain. The highest male finishers completed nine to ten laps in about 35 to 40 minutes. 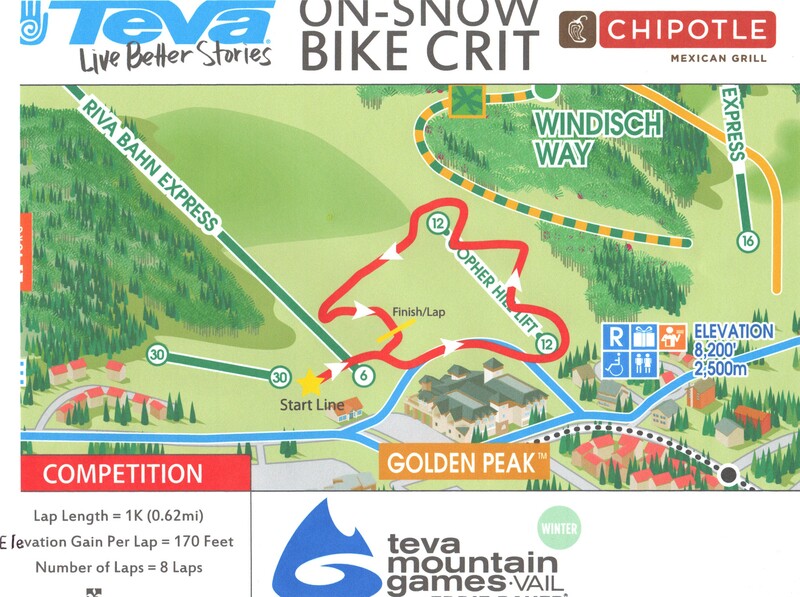 Experience a course-side view of the start, the treacherous downhill, demanding uphill, and finish in this video which features the Team CLIF Bar riders, Brady Kappius and Mitch Hoke.